Batchoy is a soup dish composed of sliced pork, pig’s innards, and miki noodles. It is believed to have originated in La Paz Public Market in Iloilo City, a hot and steaming bowl of La Paz Batchoy will surely stimulate and liven up your senses. Iloilo is the home of Batchoy, and there is a never-ending debate on who offers the best version. Some of the best known La Paz Batchoy in Iloilo includes Ted’s La Paz Batchoy, Deco’s Batchoy and Netong’s La Paz Batchoy. 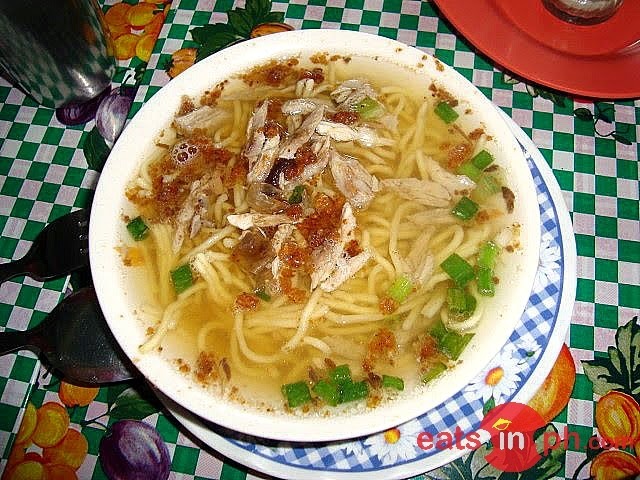 You could eat batchoy almost anywhere in Iloilo City. Never leave ‎Iloilo‬ without having a hot and steaming bowl of ‪‎La Paz Batchoy‬! Topped with garlic and ‪onion leeks, this classic ‎noodle‬ soup is to die for!